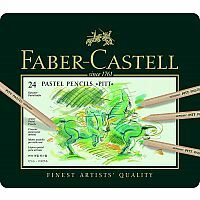 Faber Castell-PITT Pastel Pencils In A Metal Tin. 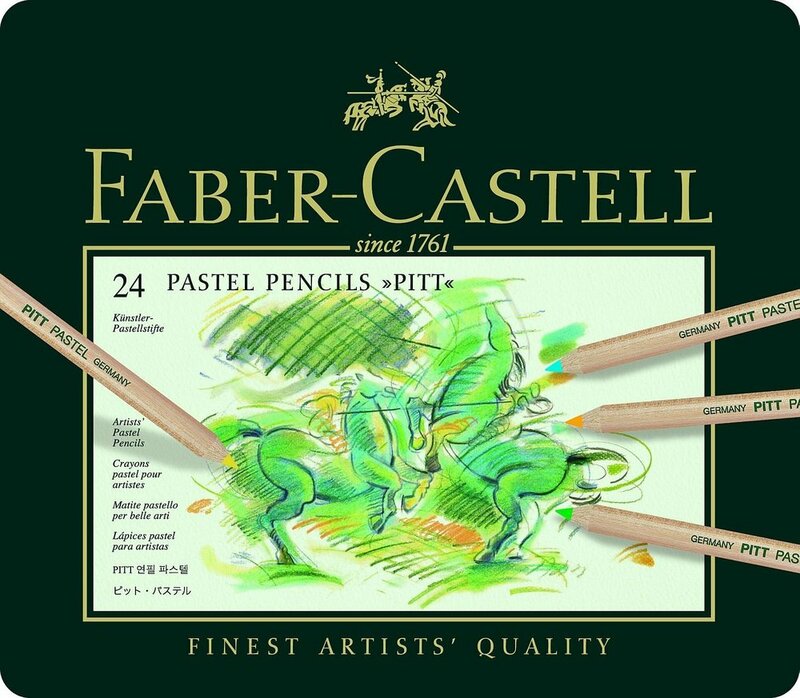 Pitt pastel pencils contain a high level of pigment but are wax and oil free and are perfectly suited for fine details in pastels. They can be easily smudged to create fine color transitions and perfectly the pastel crayons. Only minimal fixing is required ensuring that the pastel drawings retain their vividness of color. 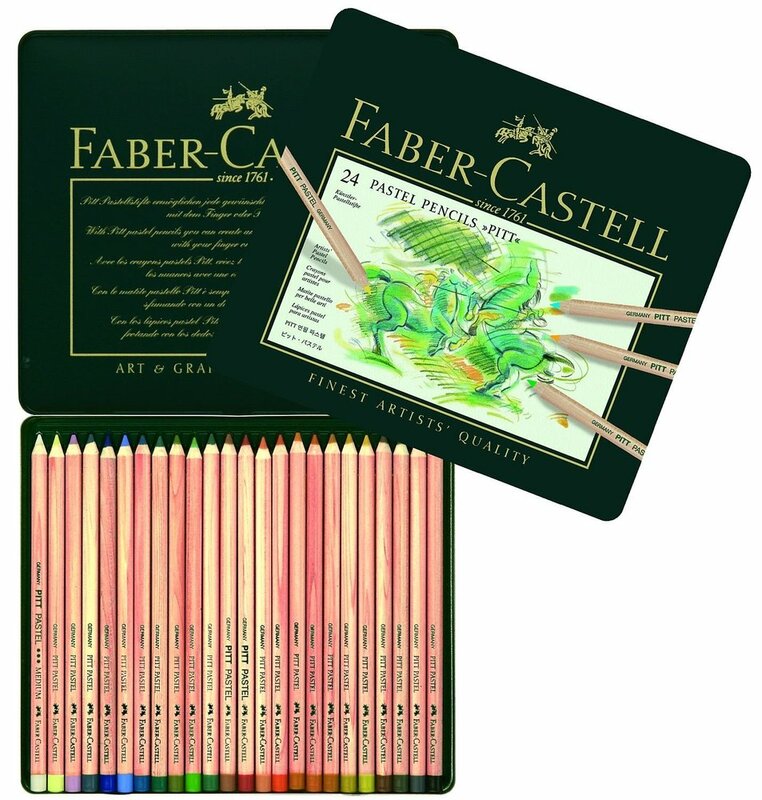 This package contains twenty-four pastel pencils in assorted colors within one 7-1/4x8-1/2x1/2 inch metal tin. Conforms to ASTM D4236. Imported.